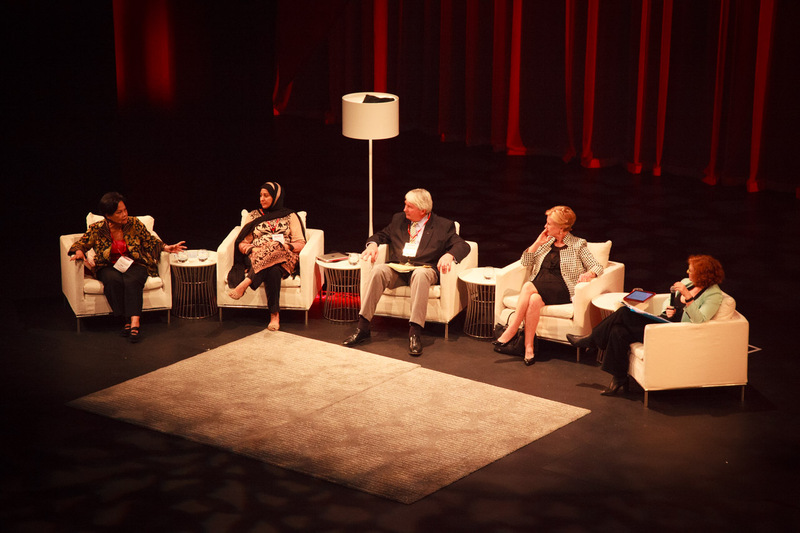 Gillian Triggs, Australian Human Rights Commission, Fr Frank Brennan AO, College of Law, Law, Indigenous Studies, Dr Erna Witoelar, Indonesian Environmental Forum, UN, Attiya Waris, Madonna King, Session 1 of the Global Integrity Summit. Australian Human Rights Commissioner Gillian Triggs believes the United Nations needs to re-evaluate the veto stronghold of its permanent five members, or continue to risk encumbering the success of future Council initiatives. The current veto conditions allow any of the five permanent countries – Russia, France, the United Kingdom, China, and the United States – the power to overturn substantive proposals just by casting a negative vote. Noting the altered playing field of the international legal system since the Council’s inception in 1945, Ms Triggs said there were now other countries who rivaled, or indeed surpassed the current permanent members. When asked about the future of the Commission in Australia, Ms Triggs said she was very optimistic, crediting the Australian people and the newly incumbent federal government with recognising the duties of the institution. Ms Triggs said she was pleased to attend the Global Integrity Summit as it was particularly significant to bring big, grand messages and ideas to Australia, which is a geographically isolated country. Associate Professor Susan Harris Rimmer, an Australian Research Council Future Fellow in Griffith Law School, and an Adjunct Reader in the Asia-Pacific College of Diplomacy at the Australian National University, attended the Summit and was interested to hear what the speakers thought of Australia’s approach to Human Rights.